My real childhood hero was at home. The definition of a ‘hero’: a person who is admired for their courage, outstanding achievements, or noble qualities. One of my fondest memories of my childhood was the hours after school. My Dad would pick me up from school, and we’d chat about my day on the 30 minute commute home. I cherished this time, simply because it was the only time it got to be just me and him, and being one of 3 girls, with a bustling household, this unusual. When we’d get home, I would always turn on the TV. He’d read his newspaper and I would watch the remaining minutes of the latest soap opera (if it wasn’t too risque) and wait for my favorite afternoon show: The Oprah Winfrey Show. It’s easy to see now, why as an 8-year-old I was drawn to this woman, her message and the stories she’d share. There was literally no one else like her on TV. She was a girl from the south, like me, and came from a humble background. I loved watching how she connected with people, how she told their stories, how she really tried to help people using her platform. I told my Dad one day ‘ I want to be just like her’. He looked at me over his newspaper, and I don’t even recall his response. All I know is I wrote her a letter – complete ‘fangirl’ style – and said I wanted to be just like her when I grew up. There was no email to send, just a TV studios address. My Dad was so impressed with my initiative, that he put the letter up on the fridge for a week before it was mailed out (and I am still anxiously to receive a response from Ms O herself one of these days). Again, I don’t even remember any words exchanged. But I remember Him. His encouragement to me when I saw something that excited me. I remember watching him study for his own degree (while holding down a full-time job), and then starting his own business in our messy living room. 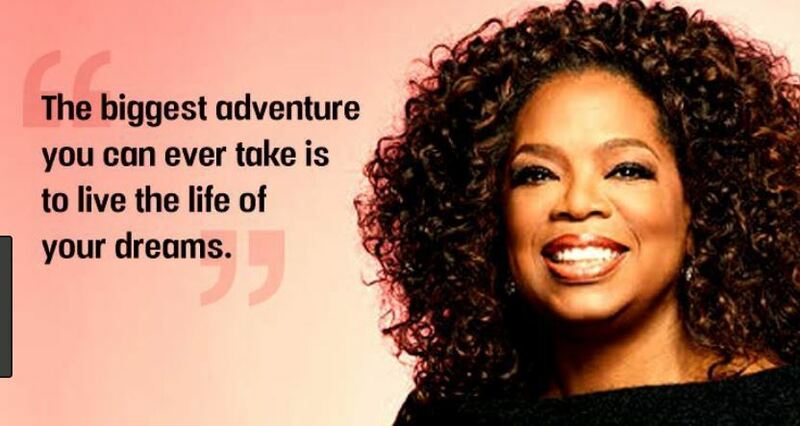 Looking back now, I can see that while Oprah was my inspiration (and still is in many ways) – it was closer to home that I had my childhood hero. My Dad said very little to me in the way of ‘rules to live by’. But in the 12 short years I had with him before he died, he taught me the value of education (even if you are a late starter): ‘You don’t have to go to college. But your life will be a lot harder without it’. He was generous, even with the little we had. One day, he found a dollar bill on the ground outside our school. He told me to give it my teacher – even though we both knew he could have used it for gas money. He’d work a 12 hour night shift, come home, sleep, then work on his side business, in-between doing pick-ups with us kids. I never heard him once complain. Everything he did, was with the intention of providing for his family and creating a better life for us. Oprah showed me what was possible for a little girl from the South to achieve, that is was OK to ‘be you’ and you can make a difference with the God given skills you have. But my Dad, he showed me what mattered. And what real love in action looks like – it’s quiet, selfless, and always works to serve others. When I started my own PR career, I took his initative, hopefully some of his humilty and later his grit to start my own business. My hero taught me that you can do much with little, and you can teach and inspire others without saying a word. Now, as a parent myself, I hope to leave behind a legacy of serving and building to encourage my own child, just as my father did for me. A childhood hero doesn’t always wear a cape, host a TV show, or have its own wikipedia page. Sometimes it’s the person in the background who is always there, showing up for you every day, without fanfare. Thank God for my childhood hero. 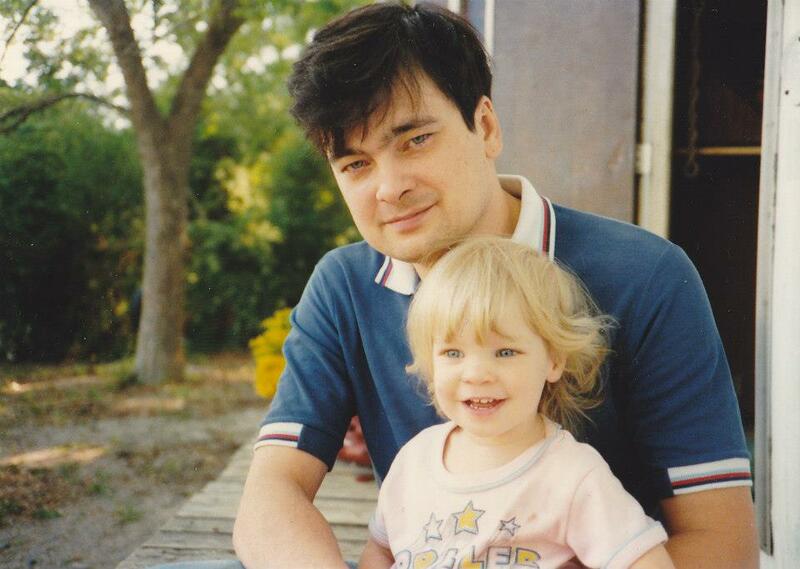 I wouldn’t be the person who I am today without him. Rachel Reva is a global media strategist, success coach, writer and founder of ‘Life On Her Terms’. She worked in the media industry for ten years as a news publicist and PR manager. Her career has spanned television, health policy and election campaigns, both in Australia and the United Kingdom. She is also a contributor for several global outlets including: Huffington Post and Goalcast. When she isn’t writing, coaching or stalking Oprah she is planning her next European holiday. She lives in Sydney with her husband.